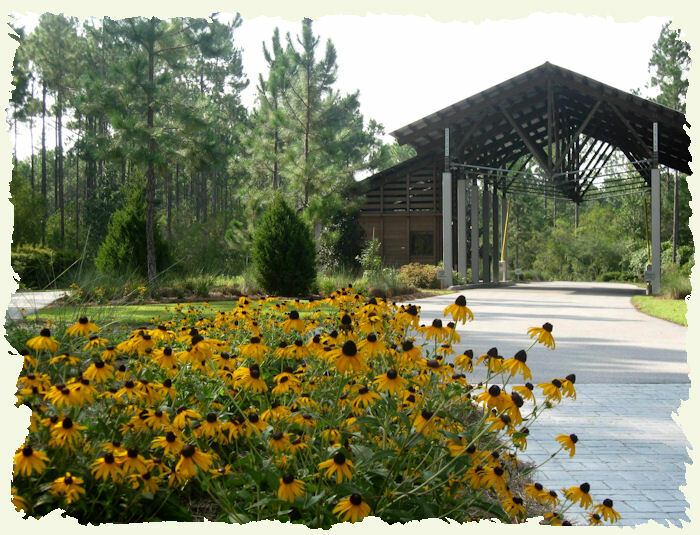 Welcome to the RiverCamps on Crooked Creek Luxury Preserve Living community web site. This site provides a single place where current and future residents of RiverCamps can find news and information or discuss issues about the West Bay community located in Panama City, Florida. RiverCamps is a one-of-a-kind luxury community and wildlife sanctuary encompassing 1,500 acres of woodlands preserve with fewer than 450 homes. With over two thirds of the land devoted to conservation, this has become one of the prized places to live, love and enjoy the unspoiled beauty. This gated, private, Firewise certified community is not your ordinary beach destination but may turn out to be your favorite. Located just a couple minutes south of the new Northwest Florida Beaches International Airport which opened in May 2010, you couldn't find a more unique, convenient and breathtaking community here on the Emerald Coast. Activities abound here with fishing, kayaking, biking the many miles of paths, exploring the community habitats, boating and swimming at the RiverHouse. If that is not enough, you can relax on the beautiful beaches of the Emerald Coast in just minutes owners also have the opportunity to purchase membership to spectacular golf courses such as Sharks Tooth at Wild Heron and Camp Creek Golf Club. Owners enjoy access to three boat wide private ramps, docks and storage/washdown area along with a RiverHouse conference center complete with a commercial kitchen for hosting owner events. To learn about the amenities of the community please browse the Amenities page or contact us. Check the local weather forecast and start enjoying the sugar white sand and clear Emerald Coast water today! Owners in RiverCamps are encouraged to register in order to access additional content.